The Medcare Car Extractor Lift was created to safely lift and move patients into and out of nearly any vehicle, from a compact automobile to a fire/emergency van. 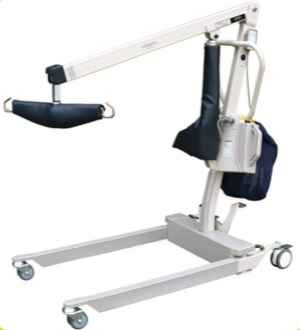 Built light and strong, with a 30″ reach and a 40″ lifting range, the Medcare Car Extractor can gain deep access into tight vehicle interior spaces and lift large patients with limited mobility. Like all other Medcare patient lifts, the patient car extractor is engineered and built according to rigid quality standards. Patient lifts provide your staff and patients with easy, safe transfer capabilities that eliminate the potential of transfer related injuries. Built light and strong with a 30” reach and a 40” lifting range, the Car Extractor can gain deep access into tight vehicle interior spaces and lift patients with limited mobility or little weight bearing ability—up to 475 lbs. capacity.